So what exactly is ‘Pitch’? Pitch refers to how high or low a note is and as a singer, you want to hit each note right in the middle. If you sing slightly above a note, that is called being ‘sharp’. If you sing slightly below a note, that is called being ‘flat’. Pitch is largely controlled by two factors: Breath support and hearing ability. Most singers have problems singing ‘flat’ because of a lack of breath support and this is also why, when singers go for those high notes, they come out sounding awful. But what has pitch got to do with your ears? Music is a hearing art form and singers need to develop their musical ears to be able to identify whether they are hitting the correct pitch or not. So how do we go about ensuring we have breathing and musical hearing down pat? Its the most important part of singing and your diaphragm is like the engine room for your whole instrument. Your ability to breathe effectively affects so many elements of singing, including pitch. This is called ‘Ear Training’ and there are many, many different exercises that you can do to help you develop your ‘ears’ as we musos say. 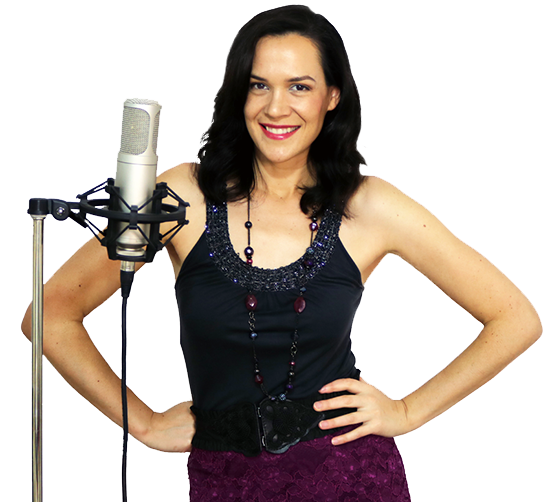 Here is a really easy one that I created (actually for singing vocal harmony) but it is a great exercise to start with that will help you develop your pitch. Breathing – you are dealing with an internal muscle (your diaphragm) and need to build its strength and muscle memory in order to sing without thinking about your breathing. If you’re practicing 3 x a week for example, you’ll need to do breathing exercises for 5 minutes at the start of your practice session every time you sing for about 1 month in order for it to become second nature. Ear Training – you are building up a sense that has been taken for granted for so long! That means your ears have become lazy and need a jump start. Consistent practice with your ear training is the key to developing this sense properly. I really like the harmony piece! Thanks your tips are wonderful,and appreciated and it is in plans to become a student as soon as I am able. Thank you for you wonderful tips. I really believe this will improve how I breath and cordinate my hearing with voice. I’m so glad that I’ve come across this site. You really understand the struggles we as singers face from time to time and with proper training, we will master those things. I’m definitely considering of becoming a student in your academy. I want to become a fanous singer and i am very well at it too…..
People really appreciate my voice. But the problem is that i am an indian. And i am just 15 yrs old. I want to become a hollywood singer but there are problems which denying to me to become one. What should I do? The problem is not that you are Indian-unless you want to make it one or that you are 15 years old.Its the other problems which deny you that you mention?List them and see how many you can tackle by using the resources of the internet( a low cost option).Ultimately you may need a voice coach but by then you will know what you are looking for.Hope this Helps. I am a professional singer and a vocalist teacher as well and your tips have help me as a singer, and as a teacher as well. Thank you for your tips I’m so great full to you Nicola your teaching are so knowledgeable. U’ve really helped me a lot am so excited.